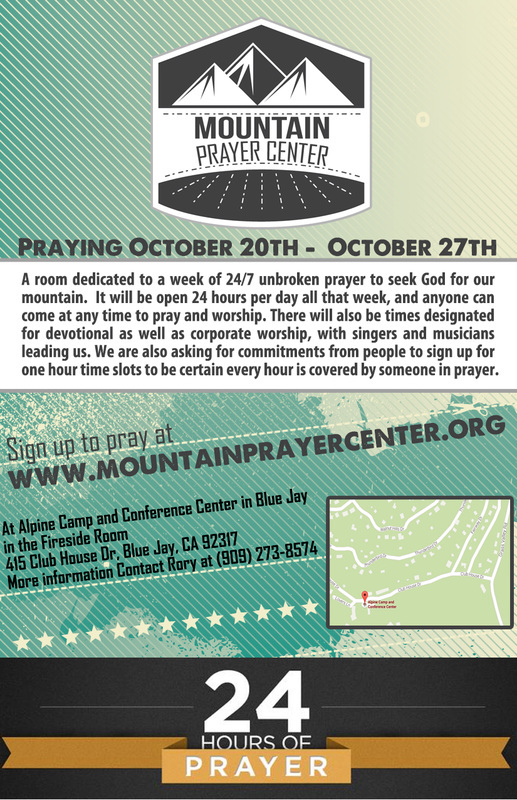 ​It's time once again to sign up for our 24/7 Prayer Week. This year it will be set up at Alpine Camp and Conference Center in the Fireside Room. If you would like to own an hour of prayer, joining with other believers on the mountain to create an unbroken chain of prayer for the week of October 20th-27th, sign up here. The 24/7 prayer week is open to every believer from every church and denomination on the mountain as we unite together to seek God for revival in our community. For more information click here.